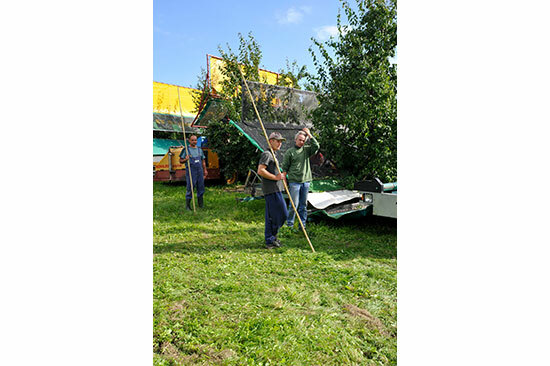 The Rheingarten- Fruchtservice GmbH & Co. KG is a service contractor for the harvesting of fruit trees. Among other we are able to pick plums, Mirabelle and cherries with our fruit harvesting machines. The machine park consists of six harvesters which we rent European wide, if so desired also with the matching personnel. The complete harvesting service with journey, harvest, personnel, boxes, collection of boxes and the marketing is possible as well as partial service. 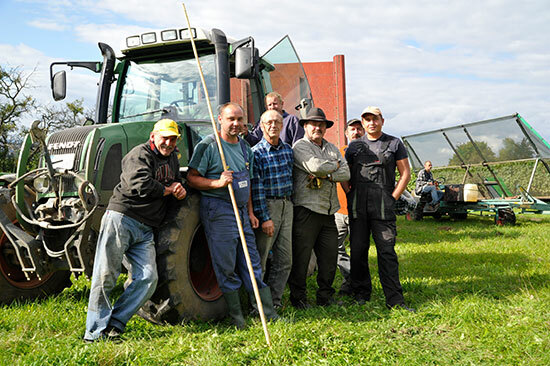 The Rheingarten-Fruchtservice GmbH & Co. KG is a merger of both companies Weisrock Schwalbach GbR and Bugner Agrar GbR. Both agricultural companies can look back at several decades of mutual harvesting experience and fulfill the harvest work in a professional way. Whether you need a fruit harvesting machine or complete harvesting service for your fruit plant, just ask us. The harvest of fruit trees is a special challenge for human and machine as by rule thousands of trees have to be harvested within a short time. The weather and the soil determine the time span for the optimal harvest time. 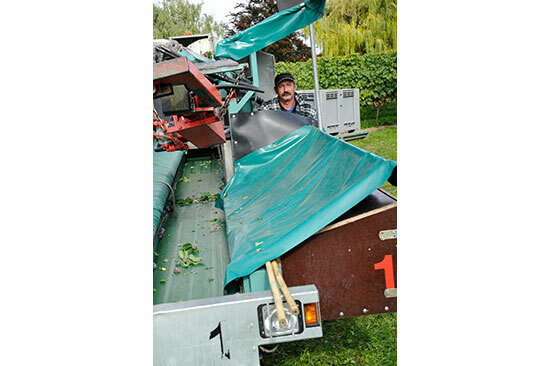 Not all fruit growers want to purchase harvesting machines or proceed with the harvest all by themselves. This is where Rheingarten Fruchtservice GmbH & Co. KG steps in, offering fruit growers in Europe the rental of harvesting machines or the complete harvest service. With full service the fruit grower only signs the delivery notes for the trucks with his fruit. The rest is taken care of by us. The orders differ a lot and reach from simple renting of harvesting machines to the complete harvest including personnel and marketing of the fruit. 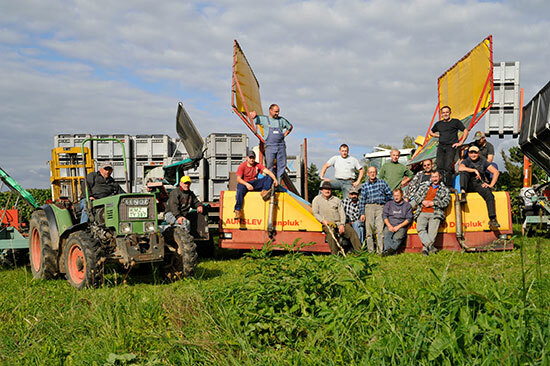 We adapt to the customers´ ideas and offer experienced harvest service and simple machine rental.